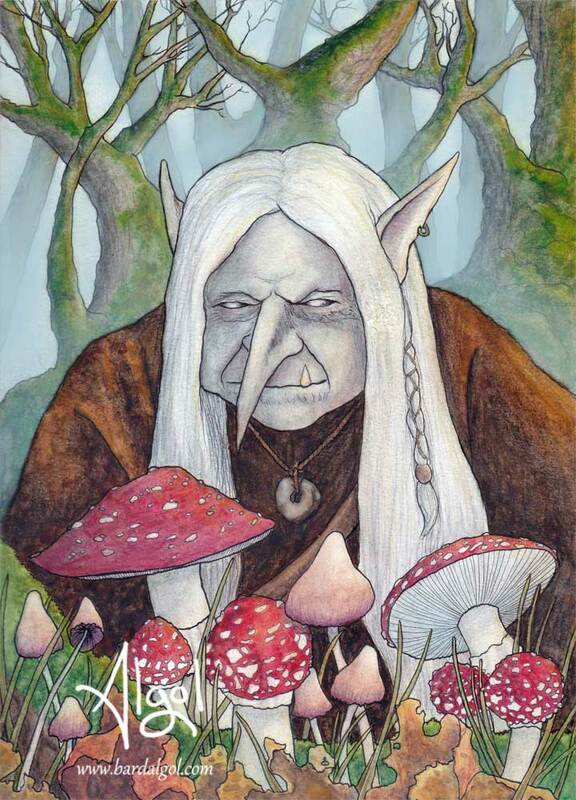 I like walking in the woods and hunting for mushrooms, I imagine trolls probably like to do that as well. The two mushroom species shown in this image are the Fly Agaric (Amanita muscaria) and the Liberty Cap (Psilocybe semilanceata), both are well known mushrooms related to fairy folklore and shaman. Since these mushrooms appear at opposite ends of the growing season (spring and autumn) I did not put any leaves on the trees, allowing the viewer to decide for themselves which season it could be.